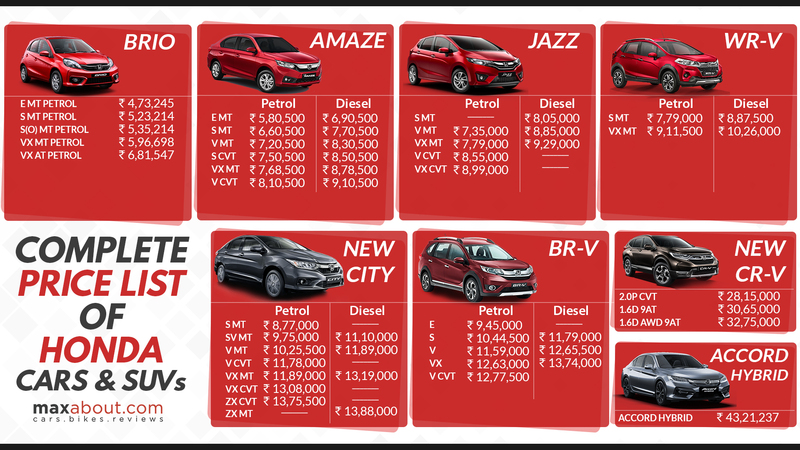 Honda makes one of the most reliable products among rivals in the Indian automobile industry. The range of cars starts from compact hatchback Brio, leading buyers all the way up to the premium Accord Hybrid model. The recently launched CR-V comes with a new diesel engine, 9-speed automatic gearbox and all-wheel-drive option for the buyers. The Accord Hybrid offers impressive fuel economy, even after using such a huge 1993cc engine. The overall output is still decent at 215HP while mileage claimed is far better than rivals at 23.1 kmpl. The range also includes popular City sedan, Jazz hatchback and Amaze compact sedan.